After she graduated from boot camp, Megan’s career as a soldier in the Army took her around the world. To Okinawa. Germany. The Middle East. Texas. When she finally had enough seniority to request a longer-term post, she knew she wanted to buy a house — so she’d have a home base regardless of where she might get deployed in the future. A place to return to. But it’s easier said than done on a staff sergeant’s salary. Down payment assistance program, or DPAs, allow people in certain professions or situations to buy a home without having to save up a traditional full down payment. While you still have to meet income, asset and property guidelines associated with the loan you are considering, a DPA (also called a buyer’s grant or credit) can enable prospective homeowners to buy their first home much sooner than expected. In Megan’s case, a DPA cut the amount she had to save for a down payment nearly in half. If you qualify and are approved like Megan was, your down payment assistance will be paid in the form of a forgivable grant at the time of closing. “Forgivable” means you don’t have to pay it back, and the loans are available in 20-, 25- and 30-year terms to allow for flexibility. 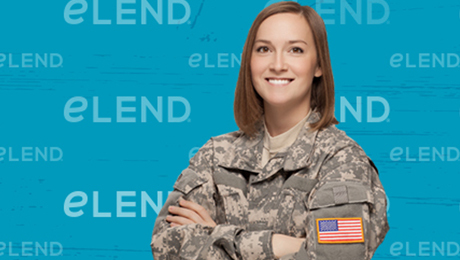 At eLEND, it’s our way of trying to help brave servicemen and servicewomen, like Megan, achieve their dreams of homeownership. Click here for more information on The Advantage Program and to submit an application.